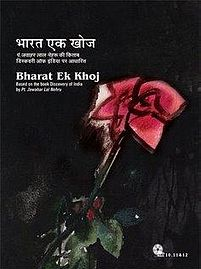 Episode #38 of Hindi TV Serial Bharat Ek Khoj explores the final segment of the life of Shivaji. Though he was a ruler of a very small kingdom, he used guerrilla warfare to claim a lot more than that. Despite having a small area under his rule compared to the Mughal sultanate, Shivaji was able to make his mark, not only in the history but the hearts of people. This episode tries exploring some of the segments of his life from important incidents during his lifetime, covered in Late Pt. Jawaharlal Nehru’s book – Discovery Of India. The episode starts with a fantastic areal view of the mountain ranges of present-day Maharashtra. As the episode moves forward the story from the point where it was left in the previous episode, you know a lot about Shivaji and his rise, so we are not going to repeat it. Shivaji and his team is getting stronger and stronger gradually. With the help of his aides, he was able to make his presence felt. Eventually, the counts representing the Mughal empire started fearing him! And for their safety, they start paying Shivaji the 4th part of their income! This is how the famous “Chauth” collection started. Through a conversation between two people, the narrator reveals the changing situation of the farmers in the state. Shivaji was now started being referred to as Shivaji Maharaj. The land started blooming and the situations started transforming positively for the farmers and thus they are happy. We also got to know that Shivaji didn’t discriminate among the people belong to his own family, lineage, and others. If someone does wrong things then he doesn’t consider any personal relationships with the fellow when it comes to taking actions! And, that is how a ruler is expected to behave. The narrator then refers to the incidents of Chandrarao More and Sambhajirao Mohite to make his point. The main enemies of the Swaraj were Sultan Adil Shah and Mughal empire. And, it was not possible for Shivaji to fight with both them together. The episode then talks about the incidents which lead Shivaji to start attacking (using his guerilla warfare technique) various parts of Mughal empire. How Aurangzeb responded to those attacks under the changing situations at his own home, is interesting to know. Actually, the first target of Shivaji was to be recognized as an independent ruler, rather than a paid caretaker of various parts of the Mughal empire. And thus he played political games also. Getting recognized as an independent ruler will not only improve his stature but he will be able to influence more people to join him. So, he has some brilliant plans and political tactics which helped him. Aurangzeb himself was an able ruler. He understood the tactics of Shivaji. So while accepting his proposals, he also warned various officers to keep an eye on Shivaji and also forecasted the possible attacks at various places from Shivaji, as soon as the Mughal army would be taken away from there. Shivaji did the same, however, the places were different. His primary targets were the forts where a large amount of wealth was placed. To run his campaign and for the betterment of his people money was his primary requirement and he understood it well. The episode then explores various incidents including the killing of Afzal Khan at near the present day fort of Pratapgadh. In the due course, the episode explores the incidents till the crowning of Shivaji as Chhatrapati. We must give full credit to Govind P. Deshpande for writing a very nice script for the episode. And, the equal credit goes to the director for making it alive on the screen. The episode explores various cultural norms and the way of living quite authentically. For example, we see the way vows and promises are made those days in a scene where Shivaji makes one count to do the same. the political tactics and games are explored quite nicely. Usually, it happens that when we explore the historical stuff, the makers are often trying making it larger than the life. And, in doing this, he/she may start ignoring the sad or weak parts involving the protagonist. It is very tough to remain objective and neutral while exploring such stuff. The makers, however, does a brilliant job here. Though, we found that there are many incidents from the life of Shivaji which are not covered in this two episodes long tale, but, we recognize that the makers tried to pay proper attention to the stuff they portray. I must mention the real forts and landscapes used as the canvas in this episode. Often we see grand forts, castles via sets and SFX or VFX these days. They look splendid and mesmerize the viewers, but they look far from the reality. Using the real landscapes and monuments gives the episode the touch of authenticity and realism, which is another positive attribute of the episode. The wardrobe plays an important role, especially when we explore a period drama. Again, rather than going for some visual grandeur, the makers go for realistic clothing and ornaments and it works in favor of the episode. The way the team Shivaji is portrayed living for an attack is very realistic. They were only a few people and it is not possible to gather a big army on the hilly area, nor Shivaji had thousands of soldiers when he fought guerilla warfare. The effective use of horses makes the episode more impactful. Naseeruddin Shah is convincible as Shivaji. He actually nailed his role. Shivaji was comparatively a person with an average height and built. It was not his physical appearance but his willpower and bravery made him a remarkable figure in the history of India. So, Naseer suits the role. And, he is a fantastic actor and there are no two thoughts on the same. Om Puri plays Aurangzeb and it gives the serial a touch of continuity. He has comparatively very few scenes but he makes his presence felt. Other actors which played remarkable roles include Achyut Potdar as Shahfi, Sunila Pradhan as Jiiabai, Ahmed Kahn as Afzal Khan, Sudhir Kulkarni as Gopinath Pant, Chandrakant Kale as Shridhar Pant, Ravindra Sathe as Sampat Rao, Vishwajit Pradhan as Rustam Khan, and Ayub Khan as Yaqub Khan. In terms of acting, we found a couple of them are below the mark, but overall the entire group of actors did their job convincingly. Especially, all the prime characters are played by seasoned actors. And thus, you will find a convincing act done throughout the episode (or the major part of the same). The background music plays a vital role in any visual media. The impact of a scene can heavily be affected (both positively and negatively) by the background music. Here the playback by Ravindra Sathe, Chandrakant Kale, and Madhuri Purandhare works in favor of the episode and you will enjoy it throughout. The dialogs are as important as the script. The dialogs of this episode are short and realistic and most importantly it reflects the local situations and places of the historical incidents pretty well. Overall, an episode which could have been better, but is fantastic nonetheless. It proves again that short budget or technological limitations don’t affect the media much if you have fantastic content and talents are there at your disposal. Definitely worth watching, and actually worth purchasing to keep it stored in your DVD library. Here are some external links for you to explore more details about the historical incidents and characters explored in this episode.